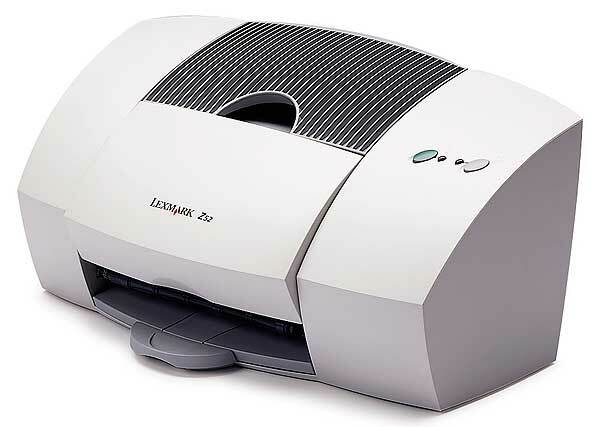 Lexmark recently announced the Z52, the latest printer in their colorful printer fleet, which also contains the Z51, Kodak Personal Picture Printer and the Z11. This latest printer has an amazing output resolution of 2400 x 1200 dpi! If that's not enough, it can print in black and white at 15 pages per minute - faster than most laser printers and only slightly slower than most workgroup printers - and for only $179 - Wow! Multiple-OS compatibility (Windows 95/98/NT/2000 AND Mac OS 8.6 or higher) Now Mac users have a low cost printing option! The example graphics I was shown were stunning and the printer lived up to its hype - rich color with extremely fine detail -- the results were excellent. It works quite nicely with normal bond paper, but with brighter paper, the prints look even better! Using some unusual Sihl paper (Swiss made) created some printouts that people could not believe were not done professionally. I heartily recommend this printer! I have used this printer for about a year. The results now are just like the first day I used it -- excellent! I have noticed that this printer has hardly jammed any paper -- a rare event in any sheetfed printer, especially an inexpensive one. I have even loaded a single sheet that has been previously used on one side without problems. Great job Lexmark! Copyright © 2000 Rick Smith All rights reserved.